Electric aircraft will soon populate the sky. This form of cleaner, quieter and cheaper air transport is just over the horizon with both US and European companies racing to launch. The first iterations will be smaller planes, as the major limiting factor is still battery technology for longer hauls. The dream of large, long-distance airliners propelled by electric motors powered solely by batteries is still pie in the sky, for now. But hybrid systems using electric motor-driven propellers, with turbine engines to generate the power for those motors, are perfectly feasible already, according to Frank Anton, head of eAircraft at the German engineering giant Siemens. In partnership with Airbus, Siemens is developing the E-Fan X aircraft. Its first flight is scheduled for 2020. Siemens and Airbus are also involved in a smaller subproject with aero engine maker Rolls-Royce. On this side of the Atlantic, Zunum Aero, which is backed by Boeing and JetBlue, plans a similar hybrid drive system for its 12-passenger, 550km/h small jets in development. Preliminary flights for those are planned by 2020 or 2021, and the charter company JetSuite has already said it will take up to 100 of the aircraft, with deliveries starting in 2022. Eyeing the slightly more distant future, Zunum Aero is leaving the hatch open for full-electric versions when battery storage capabilities improve. 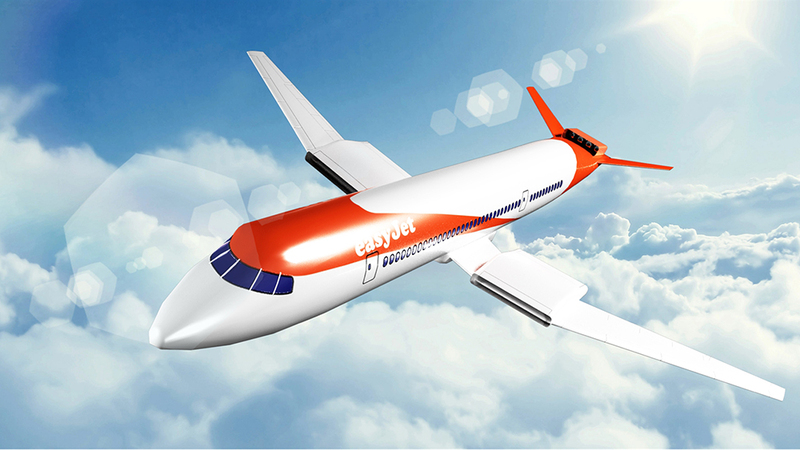 An electric reality is also approaching for the European low-cost airline EasyJet, as its partnership with Wright Electric is expected to yield a nine-passenger prototype that will fly next year. But the carrier’s launch timeline is longer since its plan is ambitious. EasyJet wants to have all-electric aircraft flying legs of roughly 480 kilometres or less within 10 years. The Israeli company Eviation may beat all the others to the electric punch, though. It reckons that battery technology is good enough right now for its all-electric mini-airliner to take nine passengers on a flight distance roughly equivalent to a hop between New York City and Charlotte, North Carolina, in just over two hours. The company’s Alice aircraft reportedly uses three Siemens engines spread across a light airframe. Alice is expected to begin first deliveries in two years. Among very light aircraft, battery weight is less of a stumbling block. The tiny two-seat, all-electric Alpha Electro—from the Slovenian company Pipistrel—is already on sale for approximately $195,000. It is intended for the pilot training market, where its endurance of an hour is perfect for initial lessons in the traffic pattern of an airfield. The China-made Liaoning Ruixiang RX1E-A, certified in China in October, is very similar in most respects but reportedly has batteries that last twice as long. And then there are the flying taxis. Scores of companies are competing in this space, providing a glimpse of what the skies in big cities might look like if all the projects manage to get off the ground. Uber has provided the impetus, with its ambitious plans for an on-demand aviation service by 2023. This isn’t without hitches, not least of them the regulatory and safety issues that must be overcome before cities field thousands of passenger-carrying drones. 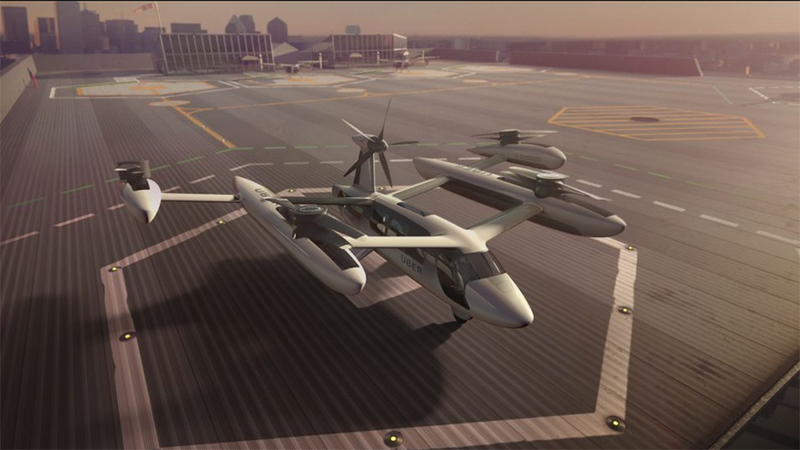 Nevertheless, the competition to build the best electric vertical takeoff and landing (eVTOL) aircraft is fierce. Front-runners include Lilium of Germany, Airbus with several options, and Rolls-Royce. Even Aston Martin is dipping its toes in. Others include Vertical Aerospace of the UK, Karem Aircraft of the US and the Israeli company Urban Aeronautics with its CityHawk. The aviation industry has some support to iron out the regulatory hurdles—mainly because electric power offers the best chance of meeting the ambitious European Commission Flightpath 2050 aim of cuts in carbon-dioxide emissions by 75 percent, nitrogen oxide by 90 per cent and noise by 65 per cent. But it’s likely the more ambitious timetable will get scaled back. The future of electric aviation is coming—it just hasn’t landed quite yet.